We are one of the reliable names of the industry instrumental in providing comprehensive Steel Plant Spares And Equipment in the market. The entire range is designed and developed using genuine quality material, which are procured from the well-known vendors of the market. Moreover, we test these products on certain well-defined standards prior to their final delivery. 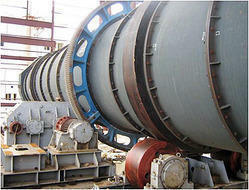 Looking for Steel Plant Equipment ?